Learning and development continues to evolve at a rapid pace, the adoption of cloud computing where not just the LMS’ hosting but the introduction of true multi-tenant environments, where every last customer is on the same version of the same system has dramatically reduced the resources that learning companies must invest in support, development, and implementation. These new technologies have enabled greater innovation and swifter adoption of new concepts and more complex features within the industry. This has been most evident in our industry’s quick response to the demise of Flash at the beginning of the decade; where LMS innovation had previously been associated with a glacial pace, cloud computing and the new reality of mobile interfaces written in HTML5, saw a change in attitude to how more responsive road maps and faster development cycles were being perceived by LMS vendors. Extended Enterprise learning is often defined as training, development, certification or support provided to your external non-employees. The Learning Management System was originally developed to reduce training costs and deliver more options for learning beyond the classroom. The audience was usually internal employees and assisted with delivering training compliance and ensuring competence. This meant that an LMS was something you spent money on rather than made money with. 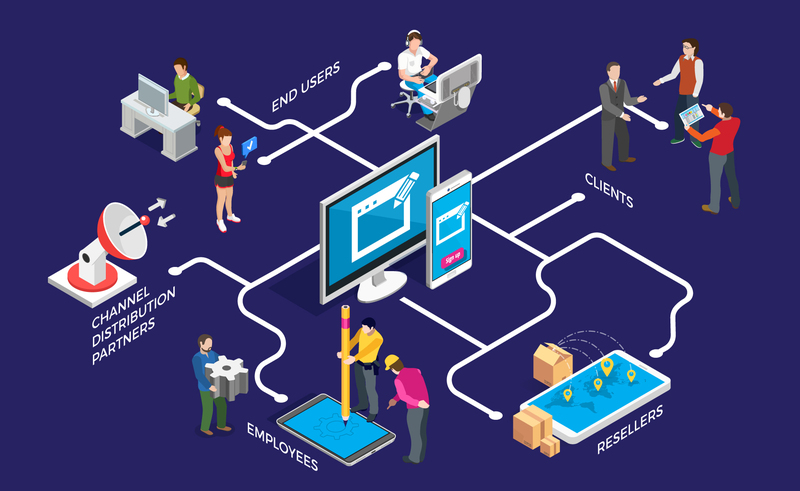 Extended Enterprise enables you to expand this audience beyond your employees and engage directly with your clients, channel distribution partners, resellers or even end-users of your products and services. By taking advantage of the eCommerce capabilities of your LMS, you should be able to separate your internal and external audiences through one of the methods your LMS makes available for differentiating user groups. In our case, our clients often utilize features like Departments or Customizable User Profile Fields. This allows you to target and report on the learning content that you choose to make available to your different channels. Don’t forget to look for flexible pricing that works with the usage patterns of extended enterprise learners as they often more variable than the usage patterns of internal employees. The right LMS plan will provide pricing that works for the customer training use case, as the number of users and their frequency of use can be difficult to predict. Promoting and delivering training to internal and external audiences is no easy job. Absorb LMS can allow you to utilize Extended Enterprise straight out of the box. As your needs evolve when your user base begins to increase and the administrative oversight leads to a want for more nuanced and detailed levels of reporting and learner engagement, Absorb offers a solution to this requirement through the additional options of our Business Intelligence and Mercury Modules. Follow along to our next blog that will outline the benefits of opening your LMS to your Extended Enterprise.